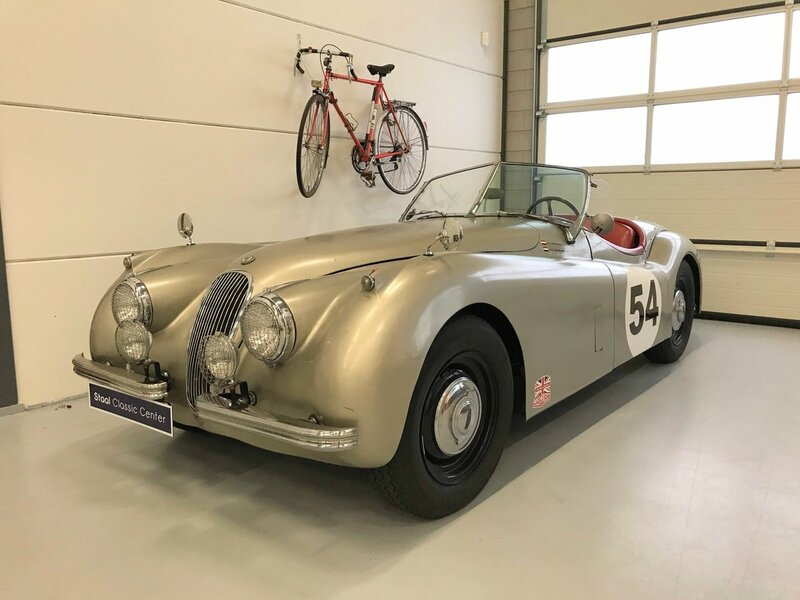 This very good driving Jaguar XK120 Open Two Seater is exactly what the XK120 stood for in the 50s. Sporty! 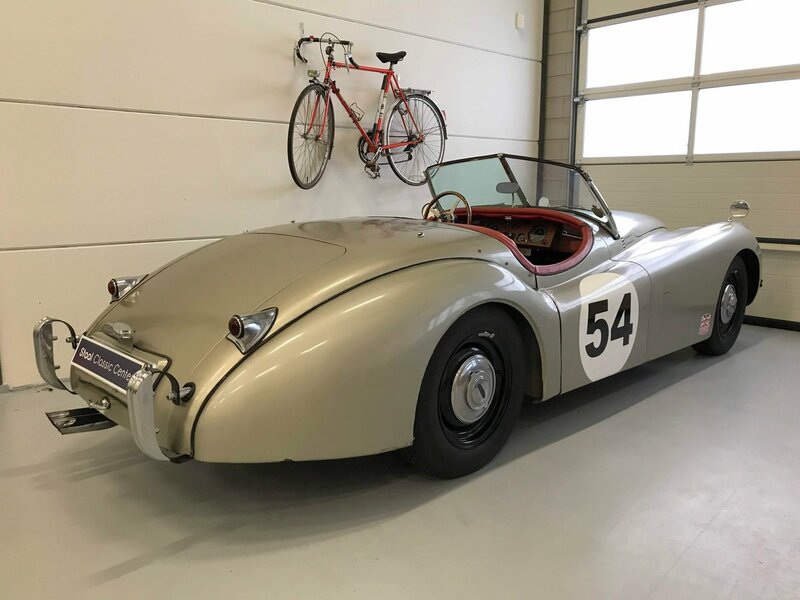 The latest owner has completely revised the XK120 and prepared it to perfectly drive. Driving in the Jaguar is also pure pleasure. 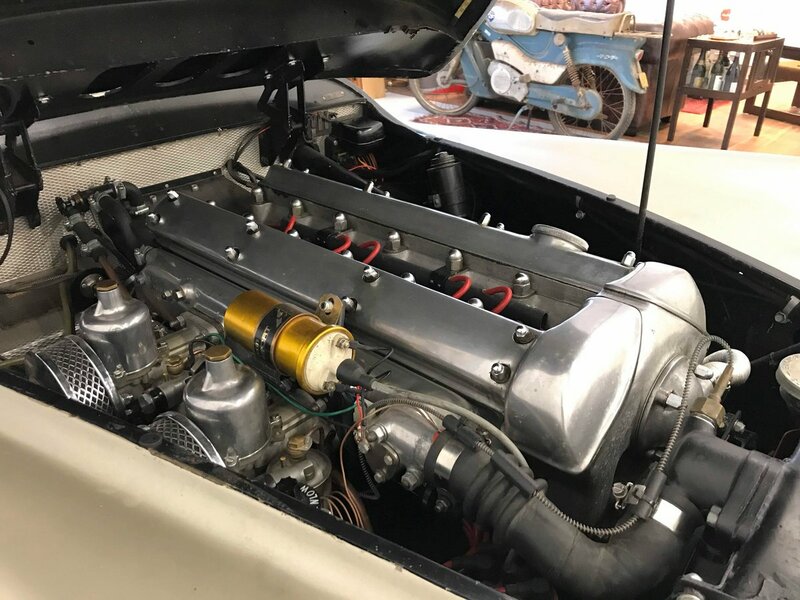 The complete revised 6 cilinder 3.441cc engine is perfectly adjusted and is linked to the manual 5-speed gearbox. 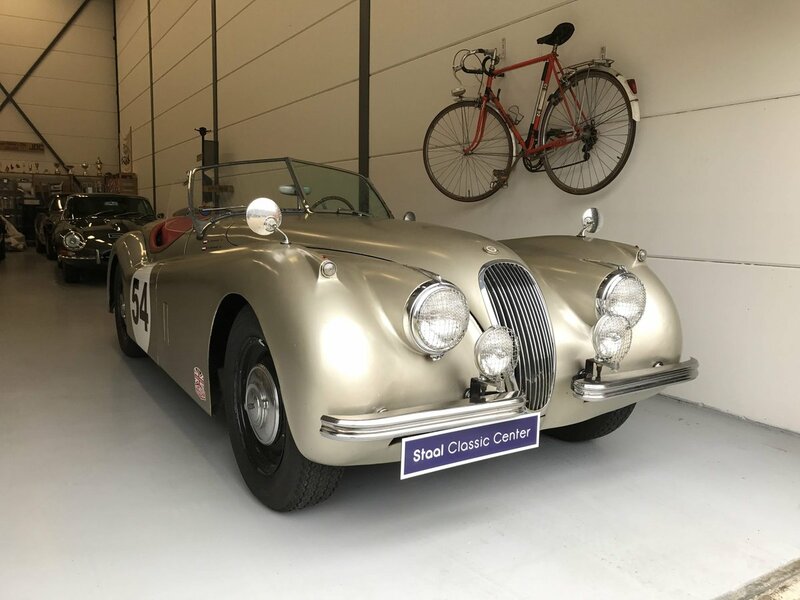 The original Matching Numbers gearbox is also available with the Jaguar. 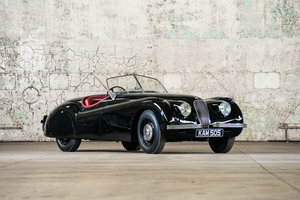 The exterior of the Jaguar shows some traces of use and makes it perfect for the original Jaguar-lover and driver. 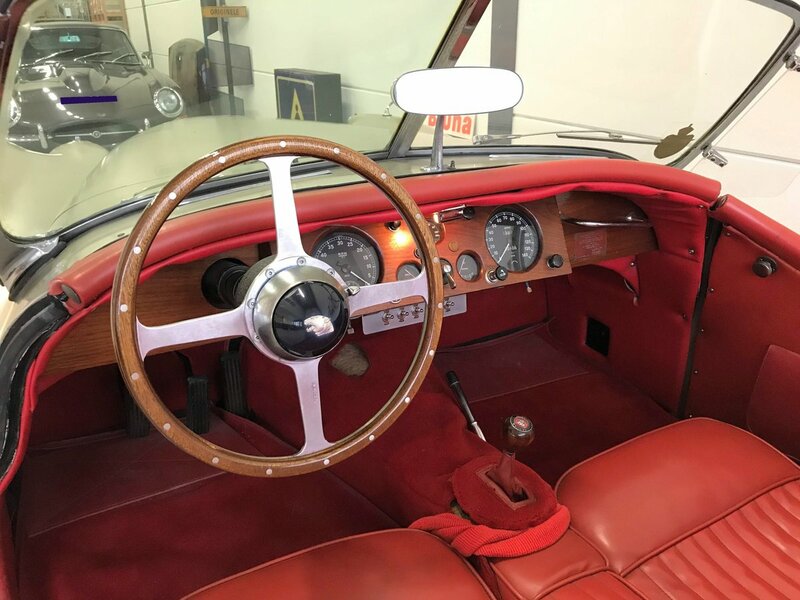 The interior is equipped with beautiful original red leather and a wooden dashboard. underneath the dashboard are some extra option buttons for the automatic choke and more options. Complete new Suspension steering, shock absorbers, stabilization rods etc. 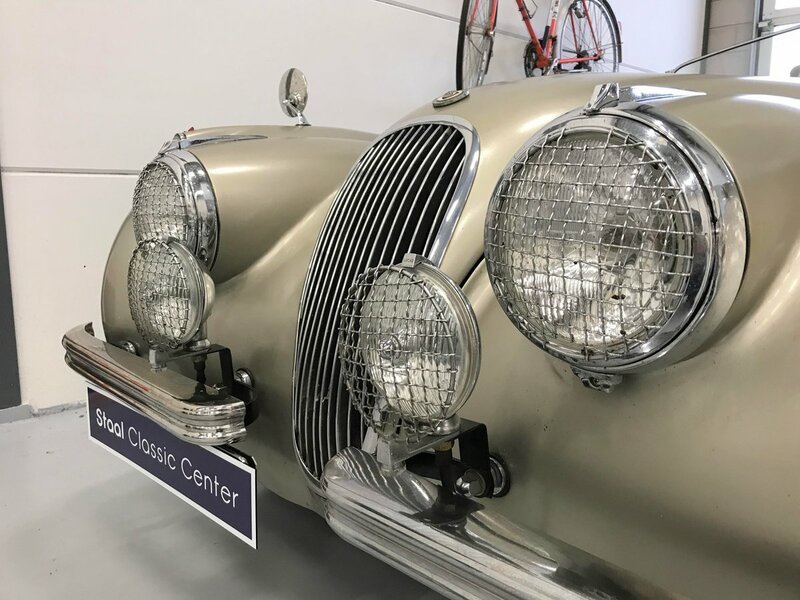 The original and very rare side windows are also present at the Jaguar.